Are you trying to push sales of newly finished home project or wishing to resale some property, then we suggest you seek this custom house shaped tool kit with 4 steel bits automobile keychain. It is very important to build trust and strike a rapport with your customer before selling them your services. And this tool kit easily allows you to grab the both with ease. 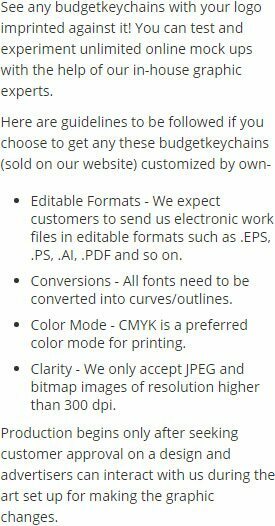 Marketers seek this budget keychain for year around gifting because people always find it highly utile because they can use it on regular days and emergencies with ease. This tool kit stands perfect for real estate services, construction houses, real estate insurance agencies and many more. 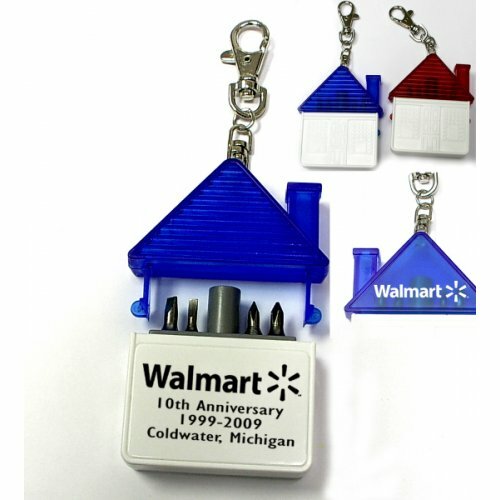 Request a quote to know price savings on wholesale custom house shaped tool kit with 4 steel bits automobile keychain. Features – House shaped tool kit with 4 steel bits and split key ring. Solid ABS construction with Phillips and two slotted screwdrivers. Magnetic port for accepting bits. Large imprint area. Product Size – 2 1/8" x 2 27/32"
Available Colors – Red, Blue. Product Size : 2 1/8" x 2 27/32"